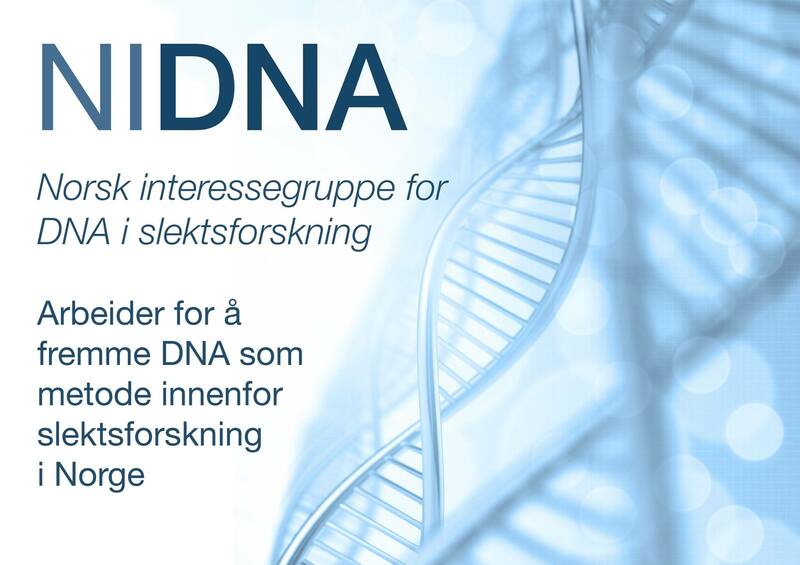 We strongly recommend that our Norway DNA project members upload a family tree with their direct ancestors, up to 12 generations. You create a GEDCOM-file through your genealogy program, and can then transfer your ancestry information to your FTDNA account. If you have a GEDCOM uploaded, then the names listed as last names will automatically be uploaded to the “Surnames List”, accessible to your matches, and a great help to find common ancestry. Adding names one by one takes forever, so please add a GEDCOM first to get the list automatically filled in. Then you only have to add places for the names. However, understanding Norwegian Names and how they behave is necessary to create a good GEDCOM (from a genealogical file) and a useful surnames list. Such a list will contain Farm Names, Places, County and Country. Please do not add Patronymics to your Surnames list. 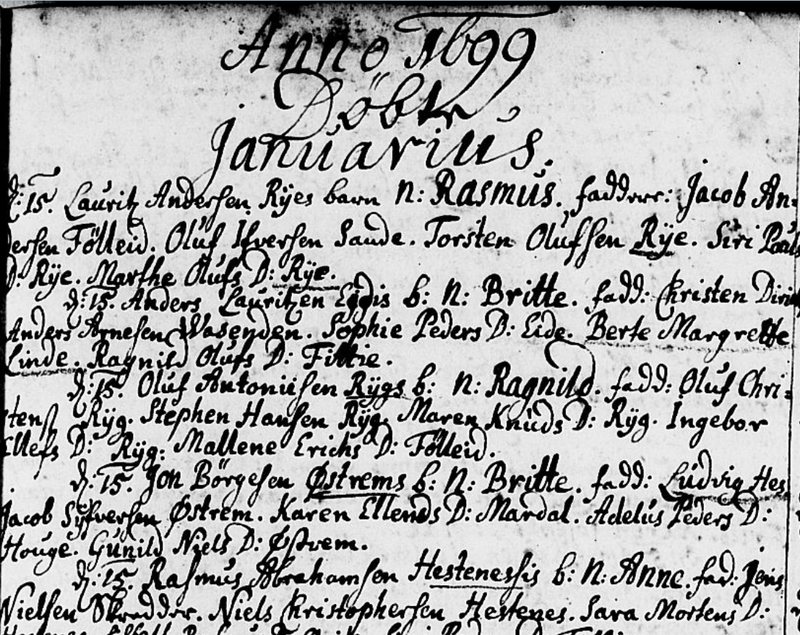 Norwegian genealogists come across a huge number of ways for how people enter Norwegian names in a genealogical database. If a collaborative database is going to work, a common practice is called for. This is also the case for the GEDCOM shown in your FTDNA profile for your matches. So where do we enter the Norwegian names? Neither patronymic nor farm name is a surname. It automatically generates Surname pages, where one can enter, edit and use information about that particular surname. There will be Surname Lists (index) which can be used in searches and to see who is related. For a patronymic this is not relevant – not until the name is frozen into a patronym-derived last name, from 1850 to 1923, or upon emigration. Norwegians have three names, given, patronymic and farm name. It is the farm name that is closest to a hereditary surname, and this is the name that should be put in the “last name” field on genealogical websites. If you put the patronymic in the last name field, it will generate a lot of useless “surname pages”. A patronymic never behaves like a surname. The farm names on the other hand are quite similar to how a surname functions, with one main exception: it is an address name, which means it changes when people move. All farm names for a person should thus be listed: birth farm name as primary/in last name field, all subsequent farm names as alternative names, with dates if possible. But I’ve always entered the patronymic in the surname field? In your private genealogy software, you will of course enter names just as you wish, to make your family file as practical for your own purposes as possible. However, now you know reasons why it could be a good idea to gradually change your practice. For a GEDCOM created to trace common ancestry through DNA-testing, and for collaborative databases online (Geni, MyHeritage, WeRelate, WikiTree etc), it is however essential to use the farm names whenever possible. 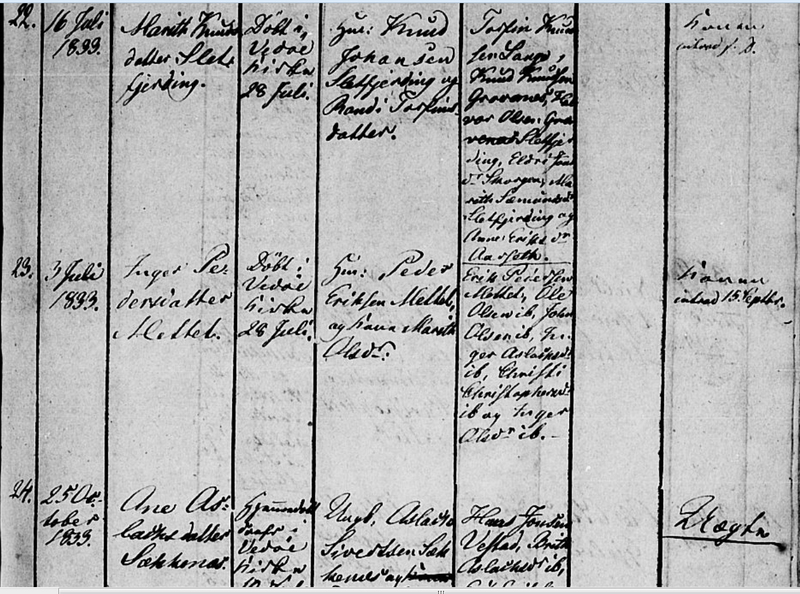 There will be thousands of Ole Andersens in a Norwegian genealogy database, and easy to be confused about who is who. If you have Ole Andersen Sukkestad, Ole Andersson Selboskar, and Ole Andersen Stedje, you know so much more. You really do not want to add just half the data about a person, right? We want our genealogical information to be as complete as possible, and always adding the farm names is necessary.